Each year, the LVMH Young Designers Prize carefully narrow down a shortlist of nominees, one of whom will be chosen to receive the coveted title. 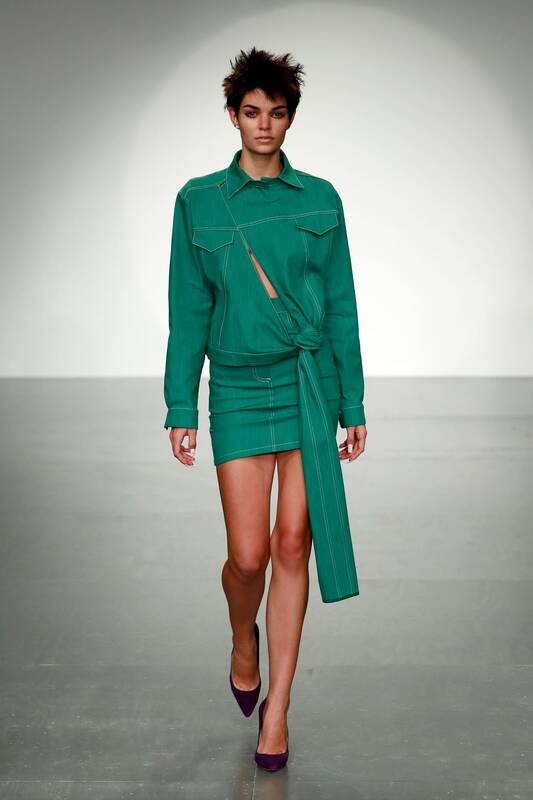 Past winners include Shayne Oliver, who has gone on to secure a successful stint at Helmut Lang since turning heads with his venerated Hood By Air label, as well as Marta Marques & Paulo Almeida, whose namesake label continues to impress with craftily oblique designs. This year’s latest batch of fresh-faced designers show promise of forging equally illustrious careers. 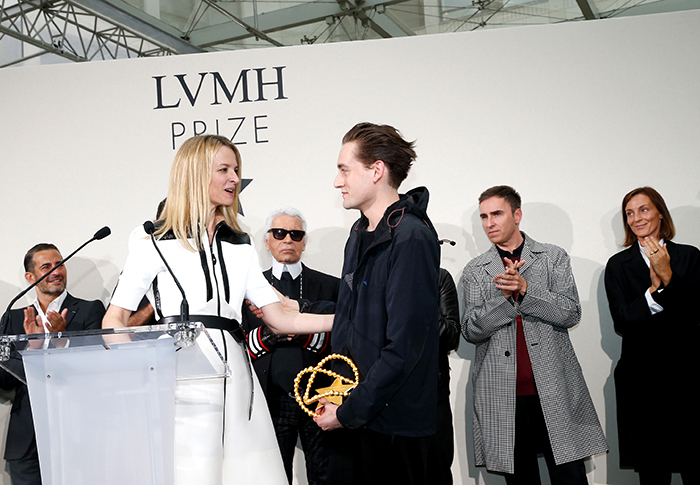 Here are our personal standouts from this year’s batch of nominees for the LVMH prize. The brainchild of UK designer Samuel Ross, A-COLD WALL* is a youth-driven label that deconstructs the ideologies of modern streetwear. Boasting a self-referentiality that has drawn comparisons to the work of past LVMH nominee Virgil Abloh (for whom Ross formerly worked as an assistant) it is A-COLD WALL’s mix of social commentary and craftsmanship that position them as truly exciting up-and-comers. A-COLD-WALL*, led by designer Samuel Ross, is one of the top contenders for the 2018 LVMH prize. 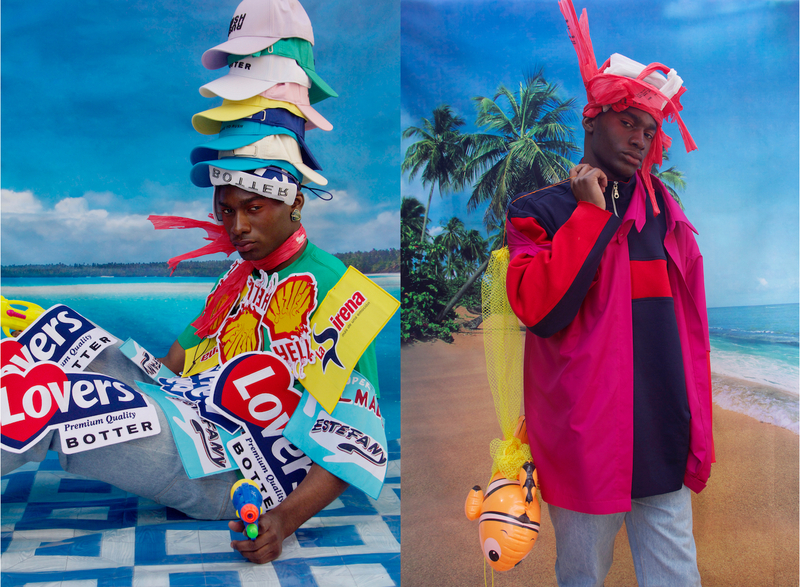 Blending hyper-maximalism with the ironic embrace of the corporate branding that has been pervading the fashion world, BOTTER’s ebulent and gender-fluid collections feel undeniably current. Perhaps the most charming aspect of BOTTER’S oeuvre is the ability to make outlandish, tongue-in-cheek statements without a trace of bitterness, a quality no doubt granted by the idealism of the young Antwerp-based designers at the label’s helm. The hyperreal, irreverent designs of BOTTER have caught the attention of the LVMH jurors. 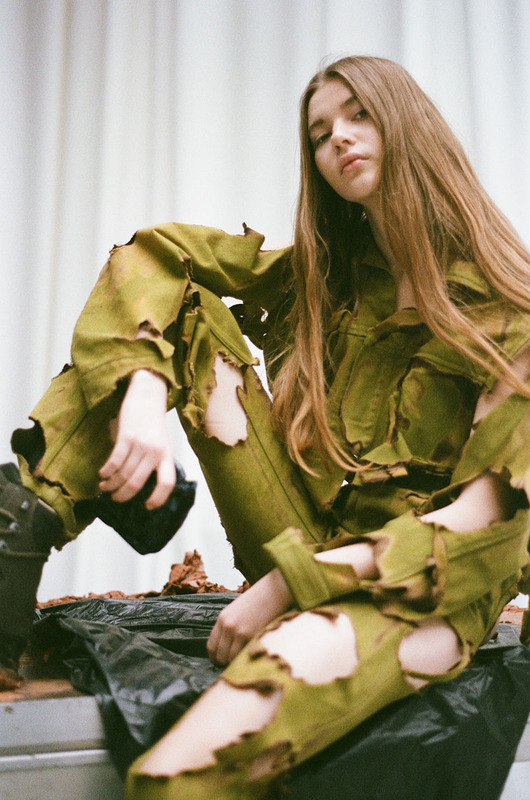 Proposing a fearless update of formal womenswear, Marta Jakubowski’s collections have thus far paired a strong early 2000’s influence with current reference points. This crossover between nostalgia and futurism has fostered a palpable buzz around the label, making them one of this year’s most promising LVMH prize nominees. Eckhaus Latta, the creative partnership between two New York-based art school graduates, specializes in cleverly engineered basics. Putting an off-kilter spin on hoodies, jeans, and t-shirts, both the menswear and womenswear offerings have proven themselves to be challenging and approachable in equal measure. Young Swiss designers Christa Bosch and Cosima Gadient have already made quite the name for themselves with their recognizably decadent Ottolinger label, turning heads on account of their inventive distressing techniques that include the use of battery acid and lighter fluid. While this spirit of deconstruction still resounds throughout their recent collections, they have proven themselves more than capable of more streamlined, clean-cut designs, showcasing a freewheeling design ethic that lends an exciting unpredictability to their work. These standout labels are merely a sample size of what the full LVMH nominee roster has to offer. Regardless of who takes home the ultimate honor, the sheer prestige of being considered for this title is enough to ensure a noteworthy future in the fashion world, suggesting that these 20 semi-finalists will shape the sartorial staples of generations to come.